BrianWard.com - Home Appraiser for Bankruptcy, Divorce, Estates, and More. San Diego, CA. Brian Ward Appraisal is team of licensed / certified real estate appraisers with as many as 30 years of experience. We appraise houses, condominiums, and residential vacant land throughout San Diego County and our specialty is the preparation of appraisals for purposes not related to mortgages, such as date of death, bankruptcy, divorce, estates, before buying or selling a home, bonds, family based transactions, and more. Our appraisals have been specially designed to be more easily understood and logical to non-real estate professionals, such as the courts, which is critically important for your success with the appraisal. We are happy to answer any and all questions to assist you in deciding on the best service for your situation, so please complete our online Contact Request Form, email us at brian@brianward.com, or give us a call at (888) 844-1733 for a free no-pressure consultation. Why Order a Home Appraisal From Us? We produce QUALITY real estate appraisal reports with detailed and descriptive analysis that is logical and able to endure scrutiny. Professional, friendly, and helpful service throughout our engagement - and direct communication with the appraiser. 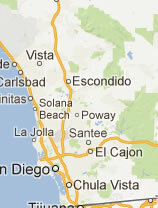 Competitive rates, flexible scheduling, and fast delivery throughout San Diego County. Your appraisal report will be completed by a licensed / certified real estate appraiser that has completed a MINIMUM of 3,000 appraisals. No trainees or other support staff will work on your appraisal. Our pledge that we will not accept your order if we do not think that we can produce a credible valuation to satisfy your need.